This Guide will walk you through the whole process of setting up a LoRaWAN gateway with a LoRaGo PORT kit and a Raspberry Pi 2/3. For multi-channel LoRaWAN gateway, LoRaGo PORT is a good alternative to the well-known IMST iC880a. The hardware is basically the same as iC880a except it is more compact in size. It has dedicated HAT for Raspberry 2/3 which makes the installation easy and neat. It works with any software that works with iC880a. 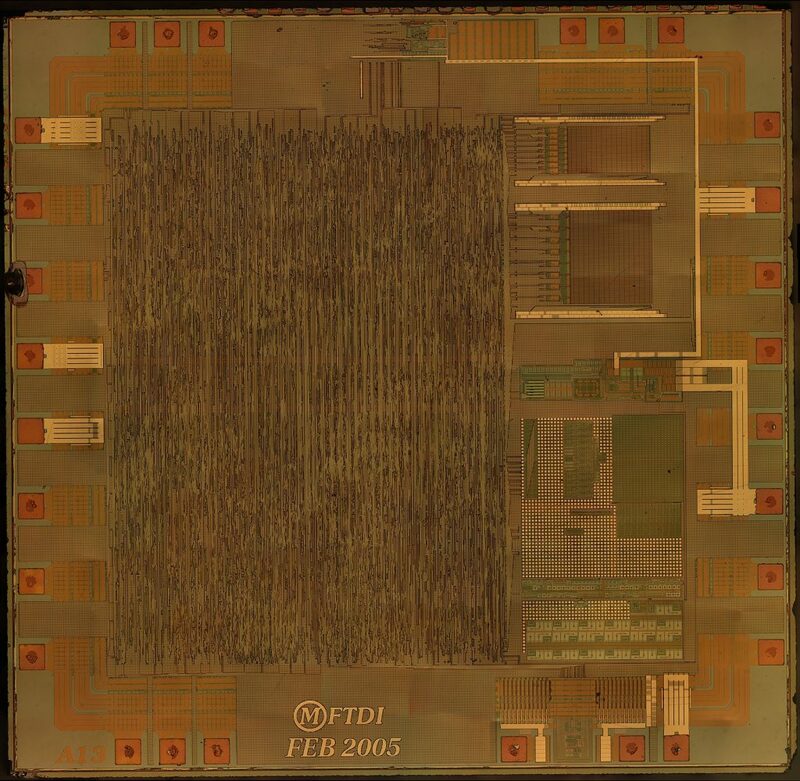 This product has an SX1301/SX1308 baseband processor and two SX1257/SX1255 RF frontend chips, and peripheral circuits onboard. and it could listen on multiple channels and decode packets sent with different LoRa spreading factors simultaneously. This concentrator module is supposed to connect to a host controller via SPI interface. A host controller could either be an MCU with an SPI interface or a PC with a USB to SPI converter located between the concentrator and PC. All the RF jobs are done within this concentrator module and the user could focus on high-level software development. HAL source files are provided by Semtech who is the manufacturer of the baseband processor. Seeing is believing. We are selling chips with silicon die shots. We pick 5% percent from the total batch as sampels and decap the epoxy. Here comes the die shot from 1 sample in 30pcs FT232RL. This is just a start. If the first batch sells well, we will continue to offer other chips. If you were a victim of counterfeit chips, please feel free to contact us and see what we can offer. Compared to semiconductor temperature sensors, thermocouples have a wide working range, and do not need any external excitation power. They are cost effective and interchangeable. In some high temperature application, they may be the only practical choice with a reasonable price. Signal conditioning is the most tricky part for thermocouple temperature sensors, it deals with micro volts amplification and the cold junction compensation. Thanks to the MAX6675/MAX31855, all the signal conditioning had already been done inside the chip, and the amplified analog voltage is digitized and accessible to external MCU via SPI interface. Unlike the chemical CO2 sensor(MG811), this NDIR CO2 sensor does not need a constant ON heating element. The heating element inside a chemical CO2 sensor keeps the sensor warm so that the chemical reaction could happen and produce an continuous EMF as the output, which depends on the CO2 concentration. This NDIR measures the concentration of the CO2 by measure the received IR light strength, it only consume relatively high current during the ON state of the IR emitter. Also, the manufacturer of the sensor claims a ±(50ppm +5%reading value) initial accuracy of this sensor, and it is factory calibrated. According to the datasheet of the sensor, the re-calibration of the sensor is recommended over 6 months of use. The method of the calibration is quite easy compared to the MG811, just put it in fresh air for a couple of minutes and press the “CALI” button on the adapter board or issue a “calibration” command. NOTE: The USB2.0 port on your PC may not be able to provide sufficient current to power the sensor and your Arduino in the same time. To minimize the supply voltage fluctuation on the sensor, it is recommended to use an external 12V power supply on your Arduino. This module is designed to ease the twisted pair cable wiring for our differential I2C extender and it could be used as a RJ45 breakout board, too. As shown in the picture above, two RJ45 connectors are patched together in parallel, and each of the 8 pins are broke out to P3. 3x2pin 2062 connectors are broke out to P1. The six pins(A,B,C,D,E,F) of 2062 connectors are connected to seven(J1, J2,J3,J4,J5,J6,J7) of the eight pins of the parallel RJ45 connectors via 0ohm 1206 surface mount resistors. To use as a RJ45 breakout board, user should unmount all the 0ohm resistors and use the P3 to connect his/her device. This module is designed to enable long range I2C communications which extends the cable length from several meters to 300 meters. It is ideal for applications that need to run over long wires such as the CAT5e Ethernet cable that is commonly used to make connections between rooms. The signals are transmitted via balanced transmission lines (twisted pairs) which greatly reduces noise and extends the range. NXP PCA9600 I2C bus extender IC is used as the main component on this module. The PCA9600 is designed to isolate I²C-bus capacitance, allowing long buses to be driven in point-to-point or multipoint applications. It can operate at speeds up to at least 1 MHz. There is an on-board boost converter that feeds 12V/24V (configurable) to the VBUS. VBUS can be optionally connected to power the remote device(s) across the wire. 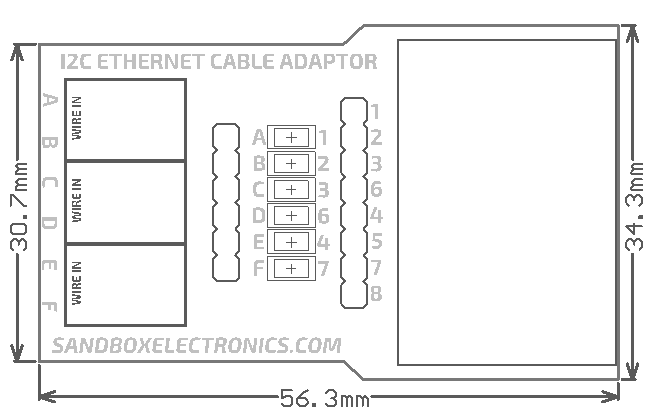 The BUCK version of this differential I2C long cable extender module can be optionally connected to the other end of the wire and buck the voltage down to 5V. Air Series firmware v2.0 introduces an automation control oriented framework S-Ctrl. This framework allows up to 32767 devices to communicate over the 2.4G RF. The network is multiple-access, which means any device could send data to any device, which is similar to Ethernet or WiFi. The framework also defines the messaging format for different automation control purposes. The Arduino library for S-Ctrl can be downloaded here. Arduino libraries can be import by clicking “Sketch->Import Library->Add Library” in the Arduino IDE. Detailed instruction on installing Arduino libraries is here. There are basically 2 ways to use this library. The library contains examples in both ways (Raw and Framework). We are glad to publish v2.0 beta firmware for AirDuino and AirDongle. This is a major upgrade from v1.x. Many improvements has been made to existing functions. An automation control oriented framework S-Ctrl is introduced into this version. This framework allows up to 32767 devices to communicate over the 2.4G RF. The network is multiple-access, which means any device could send data to any device, which is similar to Ethernet or WiFi. The framework also defines the messaging format for different automation control purposes. This article mainly demonstrates the process of firmware upgrade for AirDuino and AirDongle from v1.x to v2.0. There has been some performance improvements in the RF messaging part. However, compatibility with the 1.x version was sacrificed. This makes the upgrading process complex. The process is not risky, just too many steps to go. With the growing popularity of USB3.0 interface on PC and ubiquity of smart phone chargers, we designed this product with a micro USB connector. When use it as a breadboard power supply, user could power the board via his/her cell phone charger; when use it as a Arduino/USB to Serial Convertor, user just need to plug the USB cable to his/her PC. User could use the onboard config switches to select the operating voltage, crystal frequency of the external MCU. Also, the logic level of the onboard USB to Serial Convertor is 3.3V/5V configurable, too. This product is designed to used with Raspberry Pi, which gives Raspberry Pi 5v GPIO, I2C and SPI handling capability. Further more, the onboard headers are placed in a way the same as Arduino UNO Rev3, which allow shields designed for Arduino could be directly plug onto this product without addtional wiring. As the Raspberry Pi has no ADCs onboard, an ADC chip is added to this product, now you can read analog voltage with your Pi. This product also has a 3.3V 0.5A LDO onboard, which convert the 5V coming from Raspberry Pi to 3.3V, this voltage is used by the onboard ICs, which will save the LDO on Raspberry Pi from over temperature.